Why buy a six-piece system when there's one box that does it all? The Yamaha YSP-3000 (above and right, $1,200) delivers amazing "virtual" surround sound without a separate receiver or subwoofer. It's also not much bigger than a piece of firewood, so it can sit on a shelf with your TV set. Want to spend less? 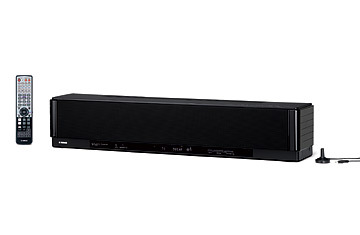 The Philips HTS8100 ($800) includes a DVD player slyly hidden behind the front panel.